Mercedes Benz India is a leader in the ultra luxury saloon market, what with the W222 S-Class dominating the hustings. A perennial best seller for the German luxury car marque in India, the W222 S-Class luxury saloon’s S350CDI and S500 variants are assembled through the semi-knocked down (SKD) kit route at its Chakan factory, off Pune. The luxury car maker plans to add a new variant to the S-Class line up, in the form of the 400L variant. The 400L variant of the W222 S-Class will use a 3 liter, twin turbo petrol engine in a V6 layout. The engine outputs 328.5 Bhp of peak power and 490 Nm of peak torque. A 7 speed 7G-TRONIC automatic gearbox transmits torque to the rear wheels of the luxury saloon. Top speed of the car is rated at 250 Kph, while the 0-100 Kph sprint is dispatched in 6.1 seconds. 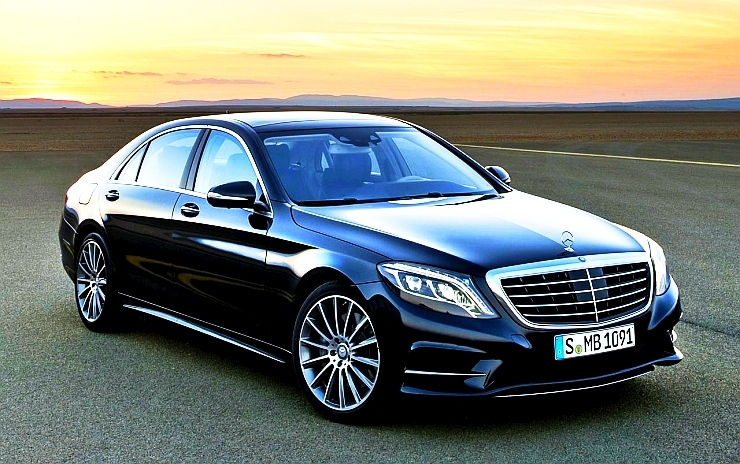 Like the S350CDI and S500 variants, the S400L S-Class is also likely to be assembled through the SKD route. The S400L will be priced and positioned between the S350CDI and S500L variants of the saloon. Competition for the W222 S-Class comes from the likes of the Audi A8, the BMW 7-Series and the Jaguar XJ luxury saloons. In terms of features, the S400L luxury saloon is likely to feature all the bells and whistles that are offered on the S500L variant. A no-compromise luxury saloon, the S400L will expand choice for buyers. The S350CDI variant is priced at 1.1 crore rupees while the S500L model commands 1.4 crore rupees. All versions of the S-Class sold in India feature a long wheelbase as the car is predominantly bought by those who prefer getting chauffeured around. An early 2015 launch is said to be on the cards for the S400L variant of the W222 Mercedes Benz S-Class luxury saloon.